Classic and absolutely stunning! 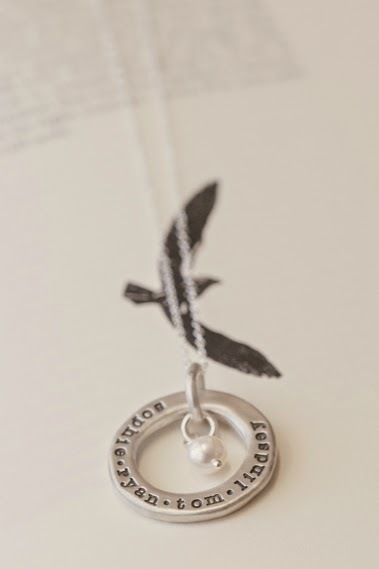 The open circle necklace is hand-molded, cast in sterling silver and hand-stamped with your precious names or phrase. The charm is strung on sterling link chain and finished with a cream freshwater pearl. Both sides can be customized to make it truly one of a kind! It’s sure to be an every day favorite! customize this amazing necklace as well. this is one of my all time favorite classic LLD necklaces. Aubrey is the WINNER!!! CONGRATULATIONS. I will be in contact via email. THANK YOU so much for your support.